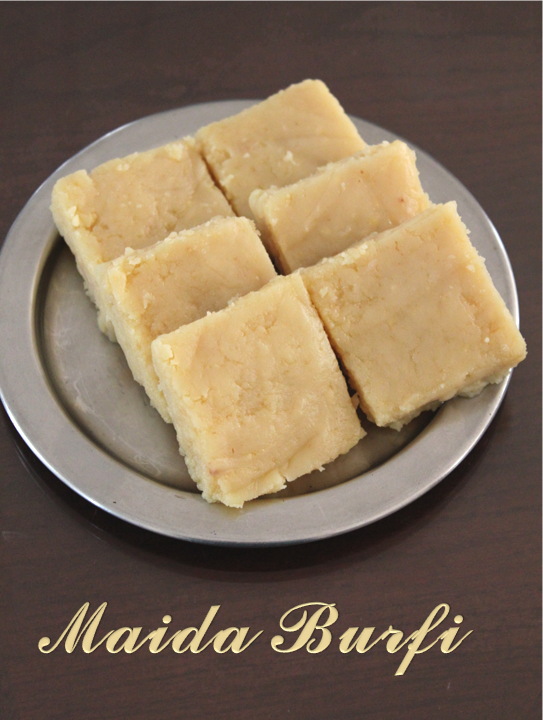 Maida burfi or maida cake is one of the easiest sweets in my moms generation.she used to make it so often whenever we had a sweet craving.My grandmom used to put khoa or khoya to soften the burfi.I thought about it and decided to make it with condensed milk.I tried the recipe and it came out pretty well as a soft burfi.The kids loved it and what else do i want??? Grease a flat try with ghee and keep it aside.seive the flour to avoid any lumps.Heat ghee in a non stick pan and roast the flour. Roast till the raw smell goes.Keep the flame in medium and fry. Pour in the condensed milk and keep stirring continously.It will get thick and come together in 3 minutes so keep stirring. When it becomes thick and comes together pour it into the greased plate and flatten it witha smooth laddle or a plastic wrap.allowit to cool. Let it cool for ten minutes and cut it into desired shapes.Then let it cool completely and then you remove them and keep it in a box. The burfi was soft and little gooey so if you prefer it that way go ahead and try!!! 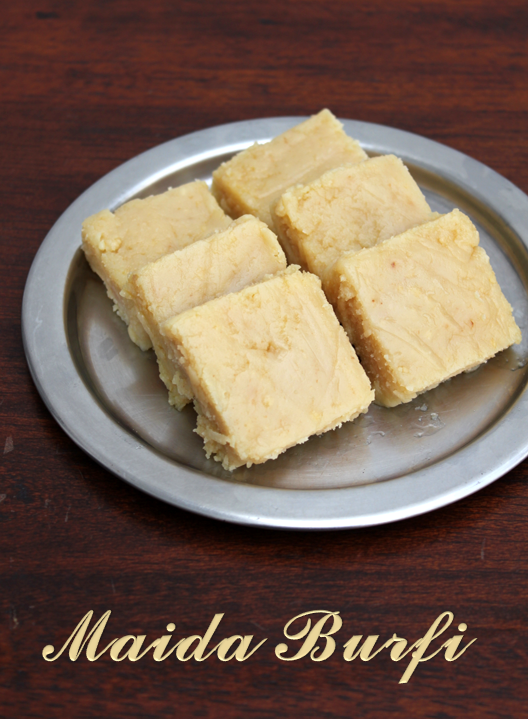 If you prefer you can add some food colour or flavour to the burfi.Like vanilla or rose essence.!! !